Eyebrows - the most critical part of your make-up routine! How can such a small feature make such an impact? Those little patches of hair alone have the power to transform your face. Their presence serves as a frame for the face, accentuates the eyes, and should complement the curvature of the cheek. Eyebrows help us express ourselves when communicating. 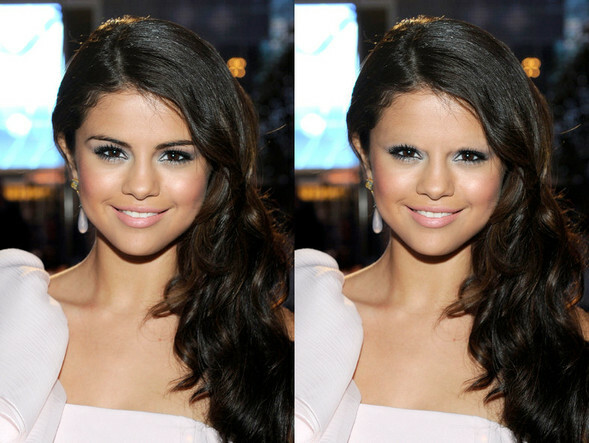 Remember, eyebrows are like sisters not twins, no two brows are identical! But perhaps more important, eyebrows also have a social function because they’re critical for emotional expression, as well as facial recognition. We’re all subconsciously cued in to each other’s brows: how and when they move and what they look like. As a result, we place a lot of stock in changes to their shape, color, and size. In fact, eyebrows may be a sort of facial signature — a way of distinguishing one person’s mug from another’s. In 2003, a study, published in the journal Perception, showed people 25 images of celebrities without eyebrows, and then another 25 snapshots of celebrities without eyes. Interestingly, the study participants correctly identified about 56 percent of the eyeless celebs, but only 46 percent of those who were brow-free. The study’s conclusion? Eyebrows are even more important than eyes for recognizing people. 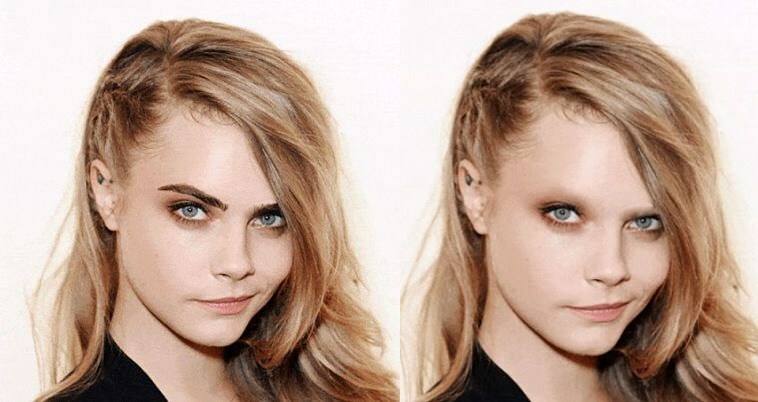 The role of eyebrows in facial recognition may help explain why models with distinct brows — think Cara Delevingne and Cindy Crawford — often rise to the top. Since females naturally have more arched, thinner, and higher-set eyebrows than men, a woman who embraces a more masculine brow will inevitably stand out. Cocamide DEA, often found in shampoos may seem innocent enough given it is derived from coconut oil. However, it actually is a modification of the natural form into an unnatural toxic. The use of cocamide DEA has decreased in recent years. Pure coconut oil is completely safe. Cocamide DEA is made by reacting diethanalomine with a mixture of fatty acids from coconut oils to create a diethanalomide, which, in this case, is a viscous, clear liquid. Cocamidopropyl betaine (CAPB) is a mixture of closely related organic compounds derived from coconut oil and dimethylaminopropylamine. CAPB is available as a viscous pale yellow solution and it is used as a surfactant in personal care products. Cocamidopropyl betaine to a significant degree has replaced cocamide DEA, however there are still companies using this ingredient. Be sure to read the label on your personal care products. So, you've decided to grow out the short style, or maybe want a new style but need to let your hair grow a bit first. Does it seem as if your hair is growing so slowly? And, of course, styling is a big pain when you are growing out a style. Hair extensions is one answer. But if that is not what you want, don't give up. Here are some tips for helping your hair get growing! First things first, if your hair is already in a bad way, your best bet is to get rid of the damage and start afresh. But don’t panic, this doesn’t mean you need to rush out and get a buzz cut – regularly trimming damaged hair to remove split ends (in extreme cases this means getting a trim every 6 weeks) can stop damage in its track and help prevent split hairs from traveling further up the strand, weakening the hair and making it prone to breakage.Contrary to popular belief, trimming your hair does not in fact promote faster growth (it’s hair, not grass) but may help prevent hair damage that can lead to the appearance of slower or less healthy hair growth. Even with regular trims, no one can achieve long hair without looking after its condition. Washing and treating your hair with the right products can make all the difference. Hair needs to be treated with protein-based shampoos and conditioners, to make it stronger so it doesn't The more you can do to pamper the tips of your hair to help them, the less you'll need to cut them. A product like Redken's Extreme Length Sealer can really help with split ends. Don't forget, oil is incredibly beneficial for your hair and scalp, but you don't want to use it everyday. A weekly Keratin-based hair masque is also extremely beneficial in getting & keeping hair in shape. Your scalp likes to be touched. A gentle scalp massage every day will stimulate the blood supply to the hair follicle, bringing it nutrition and helping increase hair growth. The more you help the follicle secrete oil and push out the hair, the better. Before you go to bed each night, spend a couple of minutes gently rotating your fingertips around, massaging the scalp. Heat from appliances and friction from brushes can leave you with dry, brittle and weak hair that will snap at the mere suggestion of being combed. If you are extremely dedicated to getting longer, healthy hair you need to stop using all heated styling appliances full stop. 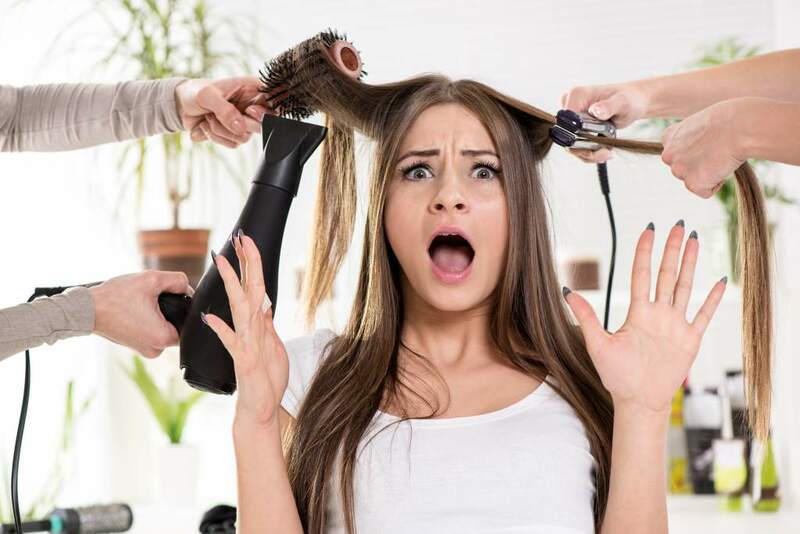 If you absolutely must blow dry your hair and can’t face leaving the house otherwise, do so on the lowest setting and air dry your hair as much as possible before finishing it up with the blow dryer to give it a bit of volume. Detangle your hair with only a wide-tooth comb or hairbrush. It may be a slightly odd looking lump of plastic, but there really is no better brush than the Tangle Teezer. However, rigorously brushing your hair (especially when it is wet) will cause breakage. Also be wary of tying your hair up too tightly. Avoid stressAvoiding stress is easier said than done, but intense physical or emotional stress can cause hair growth to slow or shut down completely. 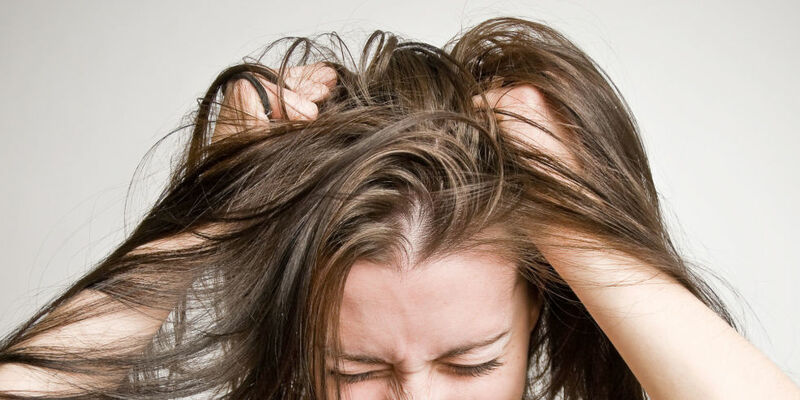 In severe cases, stress can even cause hair loss. Treat your hair right from the inside out by eating a balanced amount of protein every day. Hair is largely composed of keratin, a protein made up of amino acids, so eating protein is essential for healthy hair growth. To grow new hair, your body must produce more amino acids, which it can only do from consuming protein. Healthy protein sources include lean meat, fish, eggs, nuts, beans, and soy products. Ensuring you have enough protein in your daily diet will literally give your body the building blocks for new hair growth. If you don't feel you get enough protein from your diet, consider taking a supplement made especially for hair growth/hair loss. Click here to find a good hair supplement. 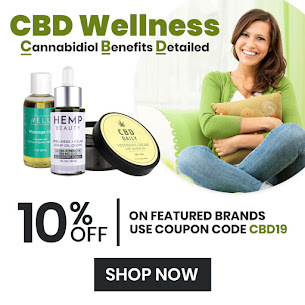 We list all of the ingredients contained in the supplement right on our web site product page so you know exactly what you are getting. Have Patience (this may be the hardest of all)! If you are getting too frustrated, a trip to the salon may be in order. Ask your stylist for tips to styling during this growing-out phase! A heat protectant is something that adds moisture to your hair while forming a protective barrier that reduces moisture loss when heat is applied to your hair shafts. Protectants are generally made with a formula that includes the combination of two silicones – cyclomethicone and dimethicone. While cyclomethicone moisturizes your hair, dimethicone coats it, making it smooth and preventing moisture loss. Most conditioners, leave-in products, and detanglers contain dimethicone, which leaves your hair feeling smooth and looking shiny. Heat protectants smooth the cuticles on your hair shaft, making your hair less porous and therefore less prone to frizzing up in humidity. It restores moisture to your hair. Your hair is constantly thirsty for moisture. Using a protectant, especially before you heat style your hair, will keep your hair conditioned despite the heat. It prevents moisture loss by adding a protective layer on top of your hair shaft. This makes your hair less likely to lose moisture through the day because of factors like dehydration, heat, and a dry environment. It makes your hair more manageable by lubricating it, which means that your hair is easier to detangle and great to touch. What Is A Good Heat Protectant For Hair? Alcohol is a base for the ingredients to stay dissolved in; once sprayed, it evaporates. While this may protect your hair from the heat to some extent, the alcohol is likely to have a drying effect once it evaporates from your hair, leaving your hair feeling sticky and crunchy, so alcohol-based products are not recommended for dry hair. Silicones, commonly dimethicone, forms a layer on your hair and makes your cuticles lie flat, so your hair doesn’t frizz. You can find this ingredient in your everyday conditioner too! But remember, if you have oily hair, find a product with minimum silicone, as it will build up and make your hair greasy and flat. Not a good look! This stuff is the bomb! This is what your hair will soak up, and it will help nourish it. It makes your hair soft. Your hair is made up of amino acids, which are broken down when heat is applied to them. This product minimizes the damage since it is the wheat protein that is broken down and not the protein present in your hair. That’s a mouthful but don’t be intimidated by how it sounds. PVP, like silicones, helps in coating your hair and detangling it. Fewer snags and more protection! Found in higher end products, this helps to keep hair frizz free after heat styling. This product keeps your hair smooth until you wash it again instead of wearing out as you get through your day. Invest in good tools. No matter how much you try to protect your hair, a bad tool is likely to leave irreparable damage. It is essential that you use a good heat styling tool that has ceramic or tourmaline plates and an adjustable heat setting. 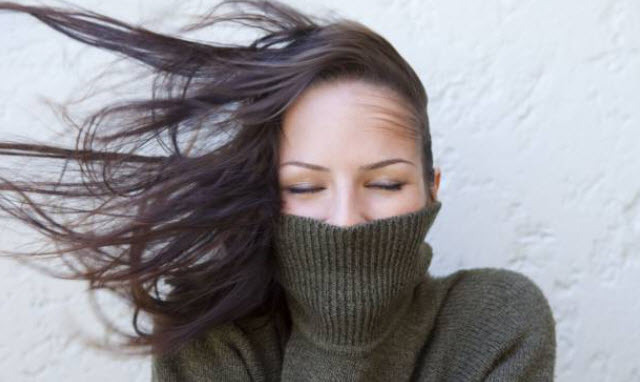 Use low temperatures for fine hair as it does not require a lot of heat to get the job done. 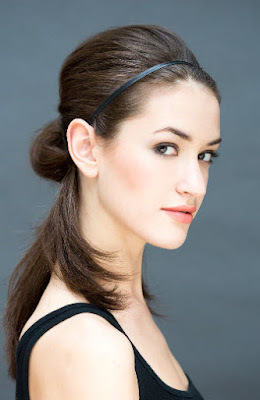 Start at the lowest heat setting and work your way up to find the right temperature for your hair. Never use temperatures that go over 275-300 degrees Fahrenheit. Treat your hair with weekly hair mask and oiling sessions to ensure that it stays in top condition. Get advice from your hairdresser on what the best way to style your hair would be. If you barely use heat styling tools, get a professional to do it on the special occasions. Not only will it look great, but it is likely that they have a better heat protectant. Our scalp is protected by an outer layer of keratinocytes (horny cells). Lipids keep the scalp smooth and supple. This outer layer is a very effective barrier. Environmental influences can damage this barrier. As a result lipids no longer keep the barrier smooth and effective, and it therefore becomes permeable. The damaged barrier now fails to keep the moisture inside the scalp so that the skin is less able to ward off harmful substances. The results are more dryness, itching, burning, tension and dandruff. Many factors can cause dry scalp conditions. The scalp is exposed to many adverse influences. Dry heated indoor air is certainly a common cause of dryness. Blow-dryer heat and excessive shampooing is not good for the scalp either. Then there are a myriad of styling products, which may not at all agree with your scalp. The dry irritated scalp is prone to dandruff. There comes a point when the initially only dry scalp is irritated to such an extent that more and more cells are produced. Large numbers of dead cells will then accumulate on the scalp where they clump together and become visible as dandruff. Visible dandruff flakes create an unsightly mess on the shoulders and in the neck area. Dandruff flakes are particularly apparent on dark clothing. Using mild, gentle hair care products usually restores a dry scalp to its natural balance and suppresses the dandruff formation. Suitable are especially gentle moisturizing hair care products. 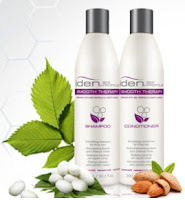 Gentle products do not damage the scalp and the added moisture helps to repair the outer scalp barrier. 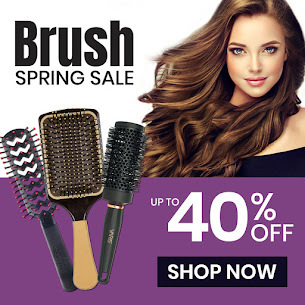 Particularly suitable are balanced, coordinated hair care systems consisting of a mild shampoo, deep conditioner and targeted products such as a conditioning scalp serum. If your scalp tends to be dry you should not shampoo your hair more than necessary and not use excessive heat during styling or blow-drying. The best tips for the dry scalp care are: be gentle, provide extra moisture, protect your scalp, and carefully select proper and helpful hair care products. Leave-In conditioners - The facts may surprise you! When you think of a conditioner, most of us think of the big bottle right next to the shampoo as our best choice. That's not always true. We also think leaving a conditioner on the hair will leave it greasy or weighed down. That's not always true either. A good leave-in conditioner may be a better choice for many of us, including fine hair, color treated hair and dry hair. Read on to see why. If your hair and scalp tend to be greasy and even the lightest conditioner is too rich, a leave-in hair conditioner may be the light-weight solution. After shampooing the moisturizing conditioner can be targeted to the part of your hair that actually needs conditioning. The hair ends are the usual targets. Leave-in conditioners also work well for fine hair. There are, for example, collagen-containing leave-in cures, which give flat, thin hair more bounce. These leave-in cures may also be applied to the root portion of the hair where more volume and bounce is needed. Leave-in hair conditioners can often be the best conditioner for dry hair. If your hair is over-processed or dry, a leave-in treatment with shea butter, coconut extract or argan oil is a good choice. Some leave-in hair conditioners contain the hair building block keratin, structure-improving proteins and moisturizing glycerol. These cures are suitable for over-processed and damaged hair. You may decide to use leave-in treatments regularly in addition to conditioning shampoos and hair rinses to provide sufficient conditioning. Don't forget to add a weekly hair mask or hair cure to your hair care regimen. Color-treated hair looks more brilliant after the application of leave-in conditioners containing enzyme-rich apricot kernel oil, panthenol for protection, and hair-regenerating keratin. These special ingredients add glow to any hair color. Special pigments in leave-in cures for blonde hair provide a golden glow. Very damaged color-treated hair may need a conditioning rinse and a leave-in treatment after shampooing. This applies in particular to hair after frequent bleaching. However, your color-treated hair may be quite healthy so that no more than a leave-in treatment is needed after shampooing. Iden’s concept is simple and powerful – use the protective and nourishing properties of bee propolis to promote healthy hair, scalp and skin. They have developed eco-friendly, innovative and multifunctional products by combining bee propolis with natural and organic botanical extracts to achieve the highest performance in Natural Hair & Scalp Therapy. Most people are familiar with the gorgeous yellow and amber colors typical of honeycomb and beeswax. But another bee-produced substance exists and it doesn't get discussed quite as much – propolis. Propolis is a resinous material that bees use to seal small cracks and gaps in the hive (beeswax seals the larger gaps). It's made when bees collect resin from trees and other sources and mix it with a little bit of honey. 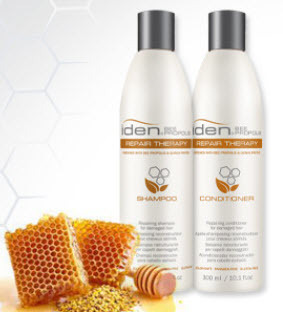 All of Iden’s products are enriched with the natural benefits of bee propolis. Bee propolis offers a multitude of benefits for hair, scalp and skin. Naturally rich in antioxidant and antiseptic properties, bee propolis combats many of the environmental stresses that we are exposed to each day, while an abundance of vitamins, amino acids and minerals nourish the hair and scalp. Natural sun, UV and thermal protection helps to prolong hair color and guard against damage. 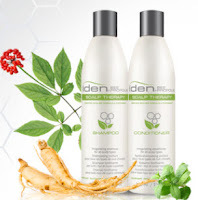 Iden Propolis has formulas for every hair type & need. Repair Therapy encourages healthy hair growth, fortifies against breakage, restores moisture and revitalizes damaged hair. It also protects from styling damage and preserves color. Scalp Therapy encourages healthy hair growth and relieves dry & irritated scalp conditions. It naturally detoxifies and invigorates the scalp while it preserves vibrant hair color. Volume Therapy delivers maximum fullness and body and leave the hair feeling luxuriously shiny. It retains vibrant hair color and encourages healthy hair growth. Smooth Therapy eliminates frizz and controls flyaways. It smoothes hair and adds luxurious shine as it encourages healthy hair growth. Helps hair retain its vibrant color. 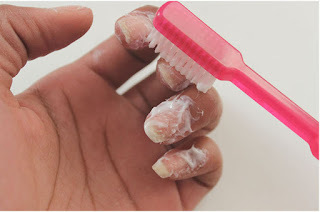 Shampooing is routine like brushing teeth or cutting nails. Maybe it is time to put some thought into the hair washing routine and use some washing hair tips to take advantage of the many good things you can do for your hair. Please look at the shampooing instructions below and see whether you can still improve the best way to shampoo hair. Preparation: Comb residual styling products out of your hair. Shampoo: See whether you are using the proper shampoo for your hair type. Is your hair fine, dry, oily or did you see some dandruff flakes lately? Does it need extra volume or frizz taming? There are so many good shampoo formulas and one type does not fit all. If you've been just buying the same shampoo year-after-year, maybe it's time to re-think it. Water – Part 1: Dampen your hair with lukewarm water. The Amount: An about half inch wide dollop of shampoo (about the volume of a hazelnut should be enough for short to medium long hair. 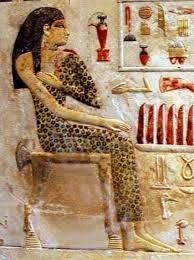 For long hair washing adjust this amount accordingly. Distribute the shampoo through your hair. 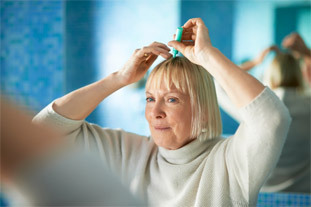 Shampooing: Getting down to how to shampoo hair, foam up the dollop of shampoo with a little water before massaging the foaming shampoo through your hair and over the scalp with circulating movements. Be sure not to scratch your scalp with your fingernails which can lead to infection. 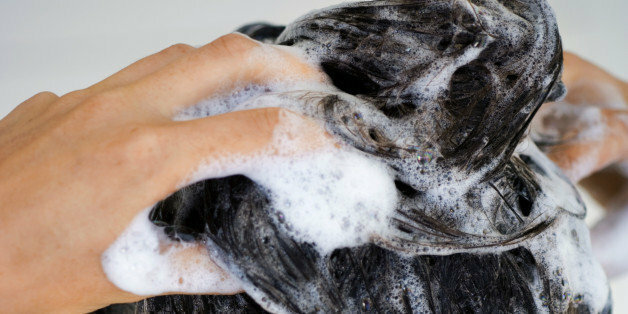 Water – Part 2: Completely rinse the shampoo out of your hair using clear water. It is important to thoroughly rinse out all shampoo. Squeeze the hair with your hands during the rinse. A good hair washing tip is that the wash is complete when your hair feels "squeaky" clean. Water – Part 3: Finally, rinse your hair and scalp with cool water. Washing hair in cold water feels exhilarating and stimulates the blood circulation. Remember: Wet hair is very sensitive and you should therefore abstain from toweling or rubbing it dry. Instead, simply press a towel on your hair. The towel will absorb excess water without moving it back and forth and damaging your hair in the process. Minoxidil is a medication. It is an antihypertensive vasodilator medication and is used to treat hair loss. It is available as a generic medication and over the counter. Minoxidil was discovered during clinical trials for high blood pressure treatment. During trials, minoxidil showed signs of being able to regrow hair. Minoxidil works by helping the blood flow to the hair follicles and increasing follicular size and hair shaft diameter, stimulating and prolonging hair growth. Increases blood flow around follicles. It stimulates follicle movement from resting to hair growth phase. Over-the-counter Minoxidil solution and/or foam are sold to be used to help hair growth in the treatment of male pattern baldness. It is not used for baldness at the front of the scalp or receding hairline in men. The foam and 2 percent minoxidil solution is also used to help hair growth in women with thinning hair. It is important to follow all instructions when using this medication. Although topical use of minoxidil is generally safe, as with all medications, there may be side effects. You should check with your doctor if any of these occur. Never start any medication without first checking with your doctor. Red Hair is Trending - How do you keep it vibrant? Before we talk about some red hair care tips, let's learn a little about color pigments. In the final run, the mixture of only two pigment groups determines the color of our hair, namely eumelanin and pheomelanin. Only a minimal amount of the small pheomelanin molecule will cause the red tinge. Quite a bit of this small pigment is however necessary for a gorgeous flaming red head. In case you or your hair stylist has created the red coloring of your hair, you'll know that keeping red hair vibrant is a struggle. The red color will readily disappear and even slowly leach out when you merely rinse your hair with water. Born redheads certainly know how light will quickly bleach their hair color. This is due to the fact that pheomelanin is degraded faster in the presence of UV light. Mere hair care and protection will not preserve the copper red color. It takes active care and knowledge of how to maintain red hair to keep the red hair color brilliant. Red pigments are light-sensitive, especially those that come in a bottle. Both natural and other redheads should stay out of the midday sun, use hair care products that are made for red hair and that protect against UV rays. If your hair is dyed red, you should not use a swimming pool for at least two weeks after dyeing your hair because chlorinated water is much harder on those red pigments. As your hair starts to fade, you should use a red color rinse. It will help maintain the brilliance. Products like Celeb Luxury Colorwash or Tressa Watercolors are perfect for this. Use an intensive mask/treatment on your hair weekly. Using a conditioner on red hair is not enough. Intensive treatments contain ingredients that penetrate the hair and can fill out gaps in the hair cuticle. This keeps the red pigments in the hair for a longer time. Joico's Color Intensity Color Butter is great for this. New York Fashion Week 2019 is now history. But what was seen there will be everywhere soon. Although most of us will never afford the actual runway styles, we will see less costly versions at our favorite stores. The colors and make-up looks will be copied. As we looked through some pix, we noticed the nails...and so many were done with Essie Nail Polish. Take a look. 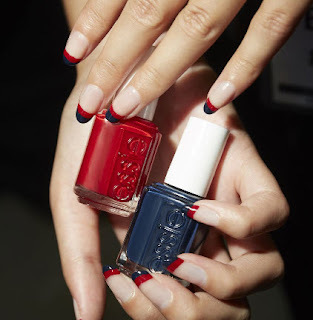 Right from the opening ceremony, Essie Nails were on display. 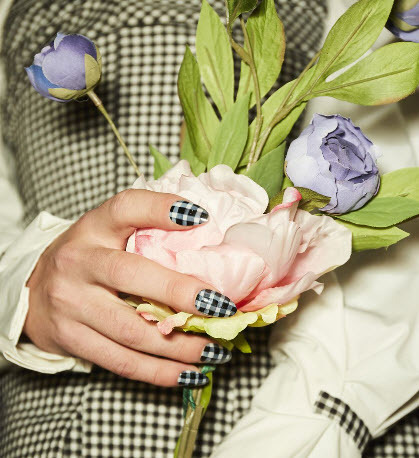 "If you're going to get one pattern on your nails this spring, make it gingham." Julie Kandalec created this hand-drawn print using black and gold nail polish at the opening ceremony. Kith had a new take on a classic manicure that's more Americana than French. Kate Spade - One coat of Essie Skinny Dip and then one coat of Just the Glitter from Essie Summit of Style backstage at Kate Spade. Brandon Maxwell - Two costs of Essie nail polish in Sugar Daddy backstage at Brandon Maxwell's Texas-inspired show. Unless you're an expert at nails, applying polish can sometimes be a challenge, especially if you only do it on special occasions. 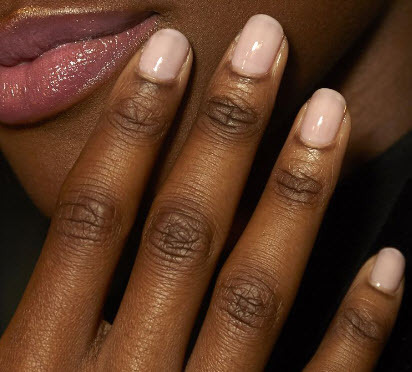 Essie's video gives you the expert "how to" for applying polish easily. So easy right. But what about your "other hand"...unless your ambidextrous, that's always the challenge. Again, we have a quick video "how to" for this. You have straight hair...but just blow-drying is not enough to get the truly straight, frizz free, shiny style you really want. Here, Paul Mitchell shows you the perfect way to flat iron your way to gloriously straight. Pureology was born in California in 2001, with a simple but powerful idea: to create the very best products for color-treated hair. They led the way in creating products made with purity and good health in mind, and pioneered the “no nasties” movement with their ZeroSulfate® shampoos and 100% vegan formulas. Signature aromatherapy fragrances give every Pureology user an indulgent experience while protecting their haircolor. As we age, the length of the growing phase of hair decreases, causing the hair to become weaker and thinner after each hair growth cycle. That’s why it’s important to ensure your diet is rich in specific nutrients to maintain normal, healthy hair growth. Biotin is a water-soluble vitamin that's a part of the vitamin B family. It's also known as vitamin H. Your body needs biotin to help convert certain nutrients into energy. It is found in small amounts in many foods such as eggs, milk, or bananas. For most people the biotin they get from their diet is sufficient. However, if you aren’t getting enough biotin, you may experience hair loss or a scaly red rash. Why? Keratin is a basic protein that makes up your hair, skin and nails. Biotin improves your body’s keratin infrastructure. Understanding your hair growth cycles, may help you to determine if you need a hair loss, hair growth supplement. Hair grows from the follicle, or root, underneath the skin. The hair is ‘fed’ by blood vessels at the base of the follicle, which give it the nourishment it needs to grow. Between starting to grow and falling out years later, each hair passes through three stages: anagen, catagen and telogen. Every hair is at a different stage of the growth cycle. Anagen (Growing Phase) phase usually lasts 2-7 years, and the length of this phase determines the length of our hair. Catagen (Transition Phase) This is the transitional phase that lasts about ten days. During this stage, the hair follicle decreases in size and detaches from the dermal papilla. Telogen (Resting Phase) This is the telogen, or resting, phase, which generally lasts around 3 months. Around 10-15% of the hair on your head is in this phase at any given time. While the old hair is resting, a new hair begins the growing phase. This is when shedding occurs. The old hair detaches and sheds, and new hair continues to grow. Approximately 50 to 150 of your hairs may fall out daily. That is considered a normal rate of hair shedding. Don't expect overnight results. As with any supplement, it's consistency over time that gets results. It is also important to talk with your doctor before you start taking any nutritional supplement. As well as hair loss and brittle nails, Biotin does have several other proven benefits. For example, biotin is one of several B vitamins that supports a healthy metabolism. Biotin converts glucose from carbohydrates into energy for the body and aids amino acids in carrying out normal bodily functions. You can view the entire ingredients label for all of our supplements right on their web page. Having fine, flat hair might seem easy to style. 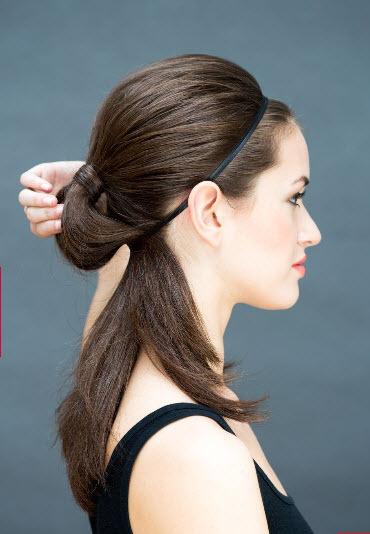 After all, fine hair requires little blow-drying and you can effortlessly tie it in a low-slung bun or ponytail on your way out while still looking chic. But many people with this hair type will tell you that it can be difficult to hold curls or add natural-looking volume—and no one wants droopy, limp hair halfway through the day. Here's our best tips for fine hair. Use a lightweight volumizing shampoo and conditioner to create a foundation. Make sure you're using a lightweight volumizing shampoo and conditioner that also have some moisturizing ingredients. These types of shampoos tend to be more drying and can cause your scalp to overproduce oils to make up for it. Never apply conditioner to your scalp. Any time you wet your hair you should use conditioner, but only from mid-length to the ends. Since you’re opening up your cuticle, your hair needs the nourishment. But glopping it on the roots will just make you look greasy and limp within a few hours. Use a clarifying shampoo to get rid of buildup. Using a once-a-week clarifying shampoo will rid your hair of impurities and product buildup that weighs hair down without stripping your color. Blow-dry to activate volumizing products. You may be tempted to skip the blow dryer, especially if your fine hair dries straight and smooth. But if you skip blow drying, your volumizing work will all be for naught. Almost all volumizers are activated by heat so you need to use a blow dryer. Get over your fear of mousse. Unlike the mousse our mothers used that dried out hair and froze it in all its permed glory, mousse formulas today are more elegant and hydrating. Apply a volumizing whip or mousse when hair is wet. Comb a small, palm-sized dollop of product through hair from root to ends. Be careful not to apply too much as this will only weigh your hair down. Get acquainted with a good dry shampoo. This freaks out women with fine hairs, since fine-hair tend to get oily fast. When you shampoo every day, volumizing products are usually not the most moisturizing, so your scalp will produce more oils to moisturize itself. Get on a cycle of shampooing only three or four times a week and we promise it will really help in the volume department. If you have been wearing the same part since hair started growing on your head then it is probably time to switch your part. When you part your hair in the same way for a very long time, your hair starts to fall flat. When you change your part this helps in giving a lift to your roots making your hair look more voluminous. When talking about the perfect haircut for fine hair the two things that really matters is are- length and layers. If you have fine hair, then a one length cut will make your fine hair appear even finer. Apart from this the longer your hair the more they will weigh down making them appear very flat on the scalp. So if you have fine hair then the best way to add volume to your hair is by going for a volumizing haircut. Add a lot of layers to your hair and limit the length of your hair to below your shoulders but not passing over your back. This will make your hair appear bouncier and voluminous. But make sure not to go for very short layers. Make-up choices can be a bit confusing when you have a face full of freckles. Should you cover them up with heavy layers of foundation, focus on concealing specific area or skip face make-up all together and focus on lash-lengthening mascara, brow-defining pencils & bold lip colors. 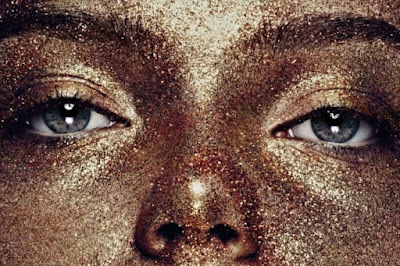 If you're proud of your freckles, which we thin are lovely, then here are a few make-up artist tips for showing them off. The key to letting your freckles show is opting for sheer, buildable products. “Avoid any medium- to full-coverage foundations, heavy powders or powder blush. Creamy sheer, products will put your freckles on display.. This means using lightweight products like tinted primers, tinted moisturizers, and spot concealers—the more sheer the better. Mix existing products with moisturizer. Enhance your freckles with a brow pencil. You can make your freckles pop by emphasizing them with a little bit of makeup. Lightly tapping a brow pencil on your existing freckles can bring them out even more—so long as the shades match up, of course. Play with warm-toned lip colors. Most freckles tend to be cool-toned, which is something to keep in mind when choosing a lip color. Choose a warm-toned lip color to juxtapose the cool-toned freckles. Make-up is the art of illusion. You emphasize your strong points and camouflage your flaws. You highlight & conceal. Here are some tips to help you show off your beautiful eyes. To make small eyes look bigger, don’t outline the contour of your eye with a dark color. Apply shimmery base eye shadow on the entire mobile lid. Highlight with a light iridescent shade under the eyebrow and in the inside corner and contour of the eye to define its outer corner. Instead of dark eye shadow along the lashes, use eyeliner along and beyond the upper lash line to elongate your eyes. Use eyeliner on the lower lid for a festive look. For protruding eyes, matte eye shadow is preferable to iridescent as a base and contouring color. In the crease, blend contouring color halfway down to the lashes, visibly shrinking the size of the mobile lid. 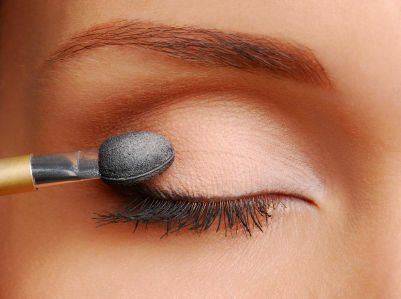 Curling your lashes may be the best remedy to reduce bulginess. Mature eyes look best with a light base eye shadow all over the eyelid, and a soft highlighter under the eyebrow. Lift your eyes by applying color strictly above your upper eyelid, keeping the sides and lower lid free of base eye shadow. Use brown or grey mascara instead of black. For Asian eyes, don’t attempt to draw a line above your natural crease with a dark color. Instead, try to create the illusion of eyelids by applying bright shimmery eye shadow on and above the crease. It should occupy about one third of the space between your lashes and your eyebrows. Be aware that this technique works well only if your eyelids aren’t saggy. Large wide-set eyes look beautiful as they are; smaller ones need some work. Draw your shading line in the crease, close to the inner corner, but don’t deliberately try to make your eyes appear closer by applying dark eye shadow near your nose. Apply eye shadow within the border defined by the eye shape, and don’t whiten your inner corners. Round eyes need a little dimension. First, apply eyeliner from the inner corners of your eyes all the way to the outside ending in a straight line or small cat eye. Then highlight below the brow bone and the inner corners of your eye with a light eye shadow. To show contrast between the highlighted parts of the eye, take a medium eye shadow color and lightly apply it above your lid. Finally, thickly apply a darker color shadow along the crease of your eye, without going too overboard. Blend the shadow from the outside going towards the middle of the eye to add dimension. Hooded eyes have an extra layer of skin below the brow that covers the crease and makes the lid seem smaller. They don't need much highlighting, so start with your light shadow only on the inner corners of your eyes. They apply a good amount of the medium color to the hooded lip. Go heavy with the dark shade around the crease to give the illusion of a rounder eye and extend your eyeliner further out in order to balance the look. Everyone is using sheet masks these days. It's a great way to do double-duty. You get to relax for 15 minutes and care for your facial skin at the same time. There are some simple tips that will help you get the most from your mask. Rule number one: no makeup, no SPF, no moisturizer under it; you should always start with a freshly clean face to make sure your skin can make the most out of all the vitamins, amino acids, and minerals in these products. 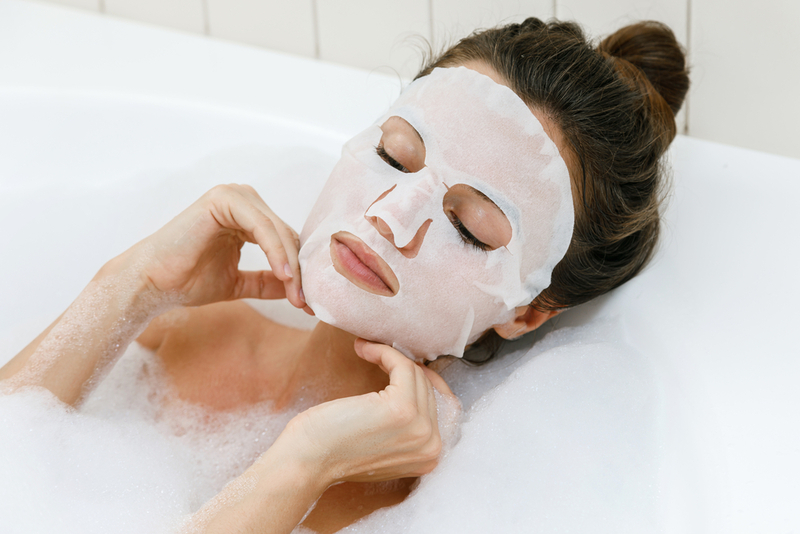 Hydrating masks will have hyaluronic acid, glycerin, snail slime extract or another humectant. Calming and soothing masks will bring anti-inflammatory ingredients like camellia sinensis (green tea) leaf extract, snail bee, and aloe barbadensis leaf extract. Brightening sheet masks are enriched with vitamin C, niacinamide, and/or botanical ingredients such as centella asiatica extract. The anti-aging ones will plump out fine lines and wrinkles with ingredients like adenosine andcitrus paradisi (grapefruit) fruit extract. When applying a sheet mask, maximize adherence by snipping from the side of the nose fold to the eye hole. This will allow you to wiggle the mask just so, getting it closer to the under-eye area and preventing any tenting. If necessary, make a snip below the cheekbone and layer the mask over itself to maximize the fit further. Sheet masks are technically double sided so why not flip your mask over when you’re halfway through your treatment and enjoy the cooling dose of hydration once again? A personal note here: This is especially good if you have sensitive or irritated skin. The rule of thumb for sheet masks is to leave them on for 15 to 20 minutes tops—check the instructions on yours before setting your timer—and wearing them for a longer period of time won’t make the results any better. Actually, after this time the mask begins to dry and take away the moisture from your skin. For the same reason, never ever sleep with them on or you might wake up with paper dry skin. P.S. Fill a tub full of scent and bubbles and soak with your mask on. So definitely a "me" time treat! Alterna Haircare was founded over 15 years ago. It was the pioneer in offering "Alterna-tive" haircare...luxury haircare without harsh and harmful chemicals. No more choosing between natural ingredients and high performance results. Exquisite formulas with clinically proven results made with pure, sustainable ingredients like caviar, sea silk, bamboo, and kendi oil. At Alterna, what they leave out of their products is just as important as what they put in. They choose eco-certified ingredients that are sustainably harvested to maintain our precious environment. Products are free of sulfates, parabens and synthetic color. They never test on animals and do not formulate with gluten. 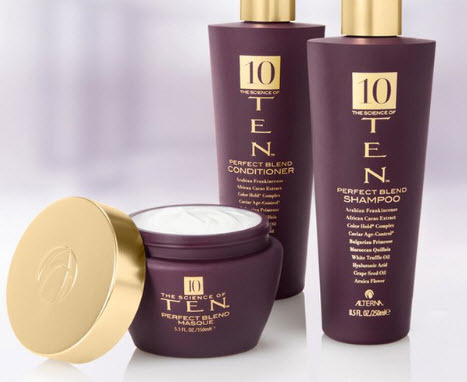 Alterna has three comprehensive cleansing, conditioning, treatment and styling brand lines - Caviar, Bamboo & Ten. Caviar is decadent & anti-aging. Alterna Caviar Anti-Aging transforms hair after just one use. A potent blend of supreme quality and uncompromising performance, Caviar creates luxuriously healthy and youthful-looking hair and a lavish, indulgent experience. These products treat hair to a sumptuous infusion of caviar extract, vitamin C and cytokines which infuse the hair with brilliance, elasticity, and a more youthful look. Replenishing Moisture hydrates moisture starved hair for improved manageability, softness, shine and texture. If your hair is dry & brittle, then Replenishing Moisture care & treatment is right for you. Restructuring Bond Repair is formulated with their exclusive Caviar Bond Enforcing Technology that helps re-bond, rebuild and seal the cuticle for up to 10 washes. Clinically proven to reduce breakage and split ends by up to 99%. If you have weak, damaged hair then Restructuring Bond Repair is what your hair needs. 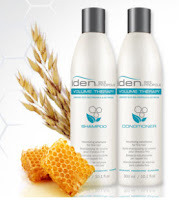 Multiplying Volume helps restore hair's natural fullness. Marine Plumping Complex gives you instantly more volume. Give your fine, limp hair the Multiplying Volume care it needs. Infinite Color Hold keeps color true & vibrant longer as it protects against UV color fade and rinse out. 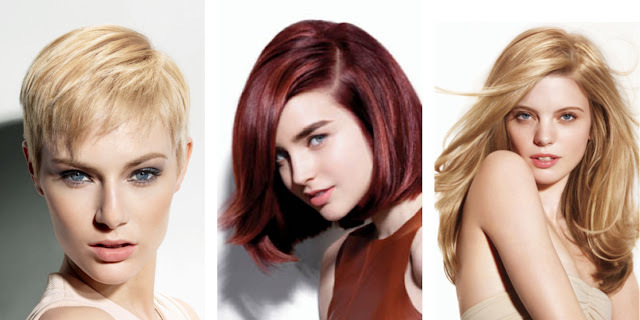 Clinically proven to deliver up to 70 days of vibrant color. You need Infinite Color Hold if your hair is color-treated. Smoothing Anti-Frizz is formulated with a blend of nourishing oils to control the level of humidity affecting the hair. Creates a youthful looking silkiness. Over 80% less frizz for up to 72 hours. Get Smoothing Anti-Frizz if you have medium to coarse hair. Clinical Densifying, formulated with Red Clover Densifying Complex gives you the appearance of fuller hair. Proven to provide thinning hair with significant improvements in texture, thickness and overall condition with regular use. Bamboo products are eco-certified and organic. They care for your hair without hurting the earth. - No Gluten - No Parabens - No Synthetic Color - No DEA - No TEA - No Phthalates - No Mineral Oil - No PABA - No Paraffin - Recyclable Packaging -Biodegradable. Ten is three Perfect Blend products - Shampoo, Conditioner, and Treatment Mask. These botanical based products contain the Perfect Blend of TEN nourishing and transforming hair ingredients: Arabian Frankinsense, Afrian Cacao Extract, Color Hold Complex, Caviar Age-Control, Bulgarian Primrose, Moroccan Quillaia, White Truffle Oil, Hyaluronic Acid, Grape See Oil & Arnica Flower. TOO much heat, cold, dryness or damage to the hair create NEGATIVE charges. The result: hair static. When two different objects are rubbed together, one loses electrons and the other gains electrons. The one that loses electrons becomes negatively charged. and the one that gains electrons becomes positively charged. Transferring these electrons is what causes static electricity. Awards season is in full swing. Give your long hair a red carpet retro style. Gather the entire back section including the crown of your hair at the root and tease with a comb for volume. 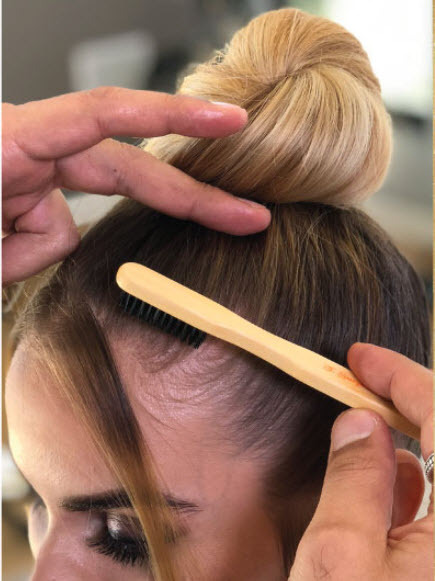 Brush hair back into a ponytail and then place a string, ribbon, or a thin piece of leather close to your hairline and tie it at the nape of your neck, over the ponytail. Gently tug the top of the ponytail up from the ribbon to create an overhanging loop. TIP: Add a touch of conditioning balm on the ends so that they look freshly blown-out, and then finish with a fine mist hairspray all over to hold the style and tame flyaways. Joico says, "We believe we must change the way we see our world. The change must start everywhere and by everyone. 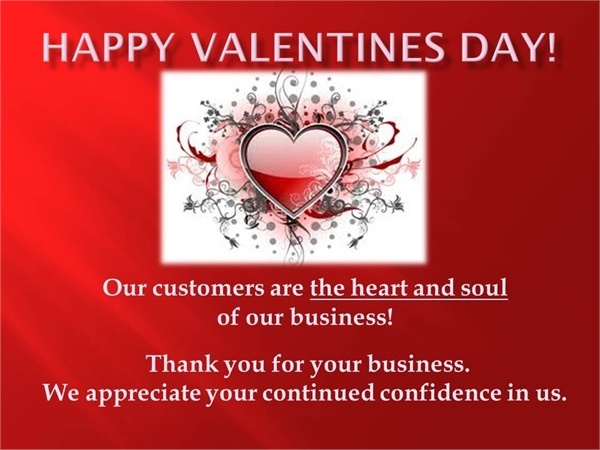 That’s why Joico strives to be a great corporate citizen to our community, to our customers and to the globe. We are at the forefront of environmentally friendly materials. Our bottles are manufactured inhouse with up to 30% post-consumer recycled plastic; cartons are made of 100% recycled paperboard; Our products contain the finest, most beneficial ingredients in the world; shea butter from Africa, orchid oil from Asia - if it's the best, no continent is too far! We also don't collect antiques, so we constantly update our technologies and develop new ones to uphold our reputation as the leader in beauty innovation.